Artificial Pothos Vine in Cane Basket will brighten up any corner as well as anyone’s day with this lovely vine. 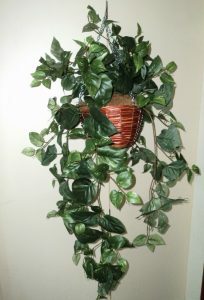 Artificial Pothos Vine in Cane Basket will brighten up any corner as well as anyone’s day with this lovely vine. 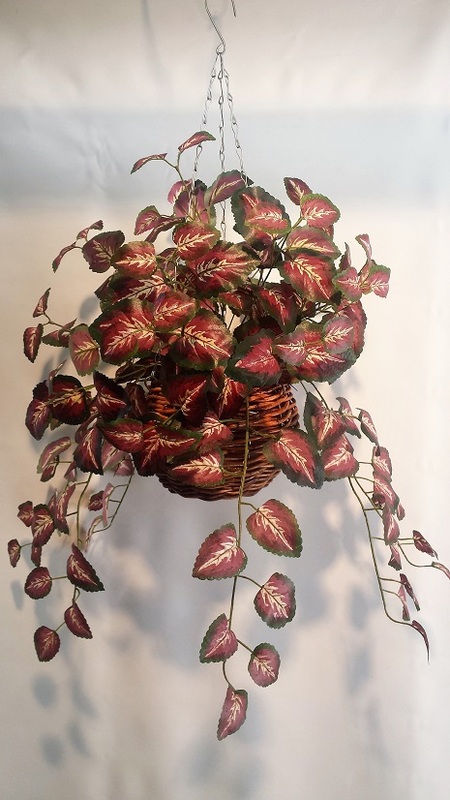 Pothos vines baskets are a great addition to your indoor or outdoor undercover areas. These Pothos vines leaflets are dark green with lovely white variegated stripes running from the center of the leaf towards the outer edge. They look very natural and look fantastic swaying in the breeze. We fit 2 vine clumps into each basket to give them a nice full look all round. Cleaning is very easy..just hose them of when they need it or otherwise let them look natural. The trick is to make sure they’re dry if you have them indoors and if they’re outdoors, just leave them in the breeze to dry out. That simple! just enjoy your low maintenance plant. No need for pruning and no need for bug sprays because these Pothos vines are just going to keep on keeping on. So be wild, be free, don’t spend heaps of dollars and time trying to get real plants to survive, buy your artificial Pothos vine basket here. Please note that all prices are quoted in Australian dollars ($AUD). If you need to enquire about an order, please visit our Contact Us page. that you be patient since we cannot dispatch your order until we have received your cheque and payment has been authorised. To check the status of your order, please use the form on the contact page. Delivery price quoted upon order. Please contact us if you would like a firm shipping quote before ordering. 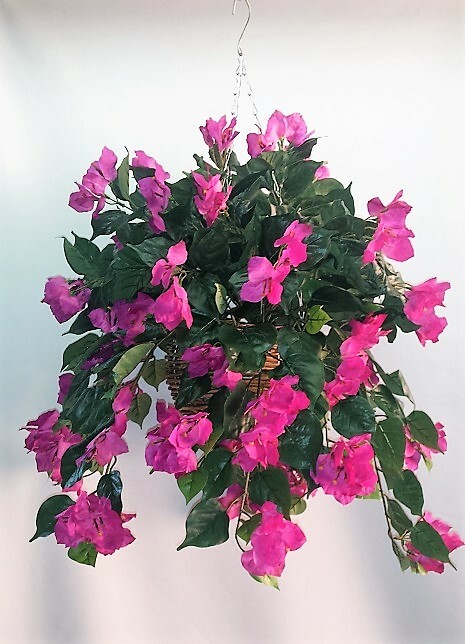 Silk Trees and Plants will normally arrive to most destinations in Australia within 5 working days after dispatch of your order. Delivery prices to International destinations quoted upon order. Please contact us if you would like a firm shipping quote before ordering. 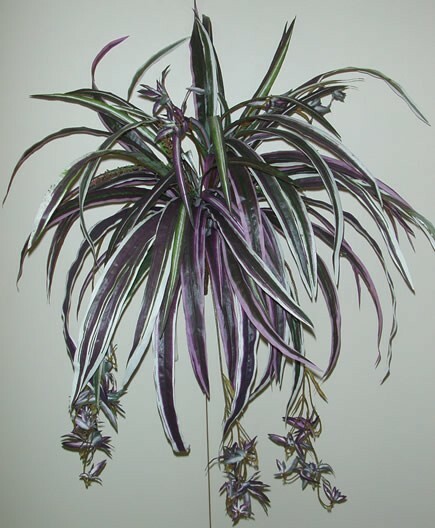 Silk Trees and Plants ships by best method from Australia directly to your home or office, anywhere around the world. Freight carriers ensure secure and economical delivery in original condition, although some deliveries may take over 21 days to more remote international destinations. Where possible, our Customer Service will be able to advise you. Silk Trees and Plants are shipped securely in cartons that protect your purchases from the rigours of normal delivery. Shipping charges includes handling & packaging fees (insurance quoted extra). We suggest that you choose an address where someone will be present to receive delivery during business hours as a signature is required. All orders are despatched from Australia upon approved payment authorisation. No merchandise shall be shipped or delivered until payment in full is received. All art items will be shipped via our preferred carrier, Australia Post or equivalent.